Home » Mutual Funds » Should you Invest in Credit Risk Fund? A Credit Risk Fund has suddenly become a talk of the town. It is mainly due to recent credit rating downgrades of bonds. It has affected investor sentiments. Many investors are worried, and they are looking for an answer that what to do in Credit Risk Fund? 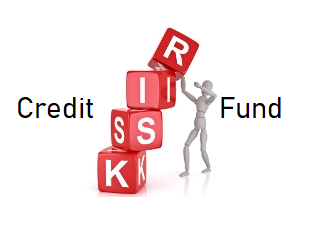 In this post, let’s try to explore What is credit risk fund? and things to consider while investing in credit risk funds. What is Credit Risk Fund? Credit Risk Fund is a separate category under debt fund. Credit Risk Fund invest in low rated, medium to long-term debt instruments with an aim of generating a higher yield. Credit Risk Fund invest at least 65% of its asset in corporate bonds which are at rating AA or below. These funds were earlier known as Credit Opportunity Funds. These types of fund are expected to generate higher returns as it takes a higher risk of investing in low rated bonds. These funds generate 2-3% higher returns compared to risk-free corporate bonds. These types of mutual funds are risky in nature. As credit risk funds invest in a corporate bond with lower rating the chance of default is high. How do these funds work? As discussed above, this fund adopts accumulation strategy to provide higher returns. They don’t intend to trade in securities based on the changing interest rate scenario. They hold credit instrument till maturity. This fund invests in debt instruments especially in the corporate bond with a rating below AA and securities. The primary idea of this fund is to generate higher returns by taking a higher risk. Usually, everyone prefers a bond with higher rating AAA and above. The possible reason why credit risk fund manager selects AA bond is a possibility of an upgrade in rating in near future is high. This may be due to strong fundamental or various prevailing factors. Credit Risk fund gives returns in two ways they offer returns by accruing the coupon (interest) payments arising from the securities they hold. They also offer capital appreciation at the time of rating upgrade. The chance of an upgrade in rating is high during an economic recovery period. It advisable to avoid these type of funds during an economic slowdown. As the chance of a downgrade in rating is very high. This fund comes with the inherent credit risk of a rating downgrade. In case of rating downgrade fund may not generate expected returns. If you are not a market-savvy person, you should make yourself away from these types of fund. You can go for diversified mutual funds. You should select a fund with a reputed and experienced fund manager. Investors should also look at a fund with a lower expense ratio. Make sure to select large-sized funds. It is because higher the corpus better scope of manageability. The portfolio should be well distributed and not concentrated. It reduces the risk of credit incident. Dividend from this scheme is exempted provided fund pays DDT. LTCG and STCG are applicable to this fund. These types of funds are more suitable for high-risk high returns investors. Credit Risk Fund is high-risk high return fund. Although it is a debt fund, it comes with fairly higher risk. One should understand the risk factors associated with this fund before making a purchase decision. These types of funds are not for new investors or investor with low-risk appetite. An investor looking for steady income and low risk also should stay away from these funds. Any fund that has tendency to invest in low-rated funds may create dent in your portfolio. Don’t be so casual about your mutual fund portfolio. This type of fund is advisable only for high-risk investor with good market knowledge and surplus money. This fund offers higher tax efficiency. A person with the highest tax bracket can plan to invest in this fund as they need to pay 20% LTCG instated of 30% tax. If you are planning to invest in credit risk fund, make sure your total exposure to this fund does not exceed more than 20%. It is advisable to consult a financial advisor or experts before making any investment in credit risk fund.